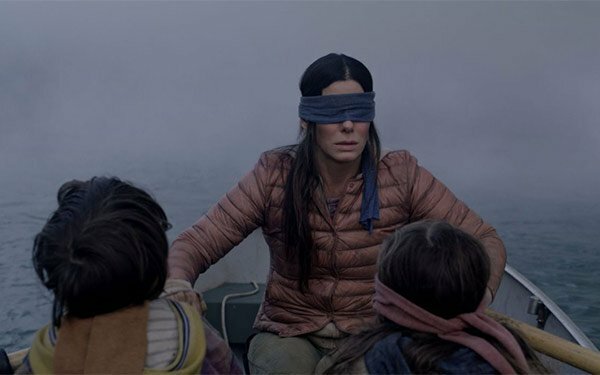 What made “Bird Box” such a smash hit? Sandra Bullock’s star power and a weakness for apocalyptic thrillers contributed to more than 45 Netflix subscribers streaming the movie. Less obvious, however, was the social sorcery that Netflix employed to market the movie, spreading its “Survive at All Costs” ad campaign. Pulling back the curtain, BrandTotal looked at 49 ads within the campaign, which ran from early-to-mid December. The social-marketing startup then analyzed ad placements on Facebook, Instagram, YouTube and Twitter. The data shows Netflix targeted 91% of its “Bird Box” campaign to Facebook, then directed its remaining resources to YouTube. More notably, 47% of the ads were “dark” video ads, meaning they were targeted to specific users, but were not publicly visible. Among these mysterious dark ads, the three most popular attracted nearly 120 million views. Demographically, the majority of social-media users targeted were within the 45-to-54 age group (25%), followed by users ages 55-to-64 (23%). Among the entire audience pool, the campaign mostly targeted females (66%) and married people (54%). Perhaps most telling, BrandTotal found no evidence to support the conspiracy theory that Netflix was creating fake Twitter accounts to promote the thriller. 1 comment about "Facebook Campaign Nets Big Returns For 'Bird Box'". Kelly Maher from Entercom Radio, January 17, 2019 at 1:29 p.m.